For years, I only watched “Mad Men” on Blu-ray since DirecTV didn’t carry AMC in HD and I was simply spoiled. It’s such a beautiful show, with some of the highest production values in the history of TV, why would you watch it in SD? So I’m happy to report that the HD video quality has not suffered. These episodes still look great. And the special features are varied and interesting. I particularly liked a mini-doc on the use of music and original score on the show. These are strong featurettes for what is still one of the best shows on TV. 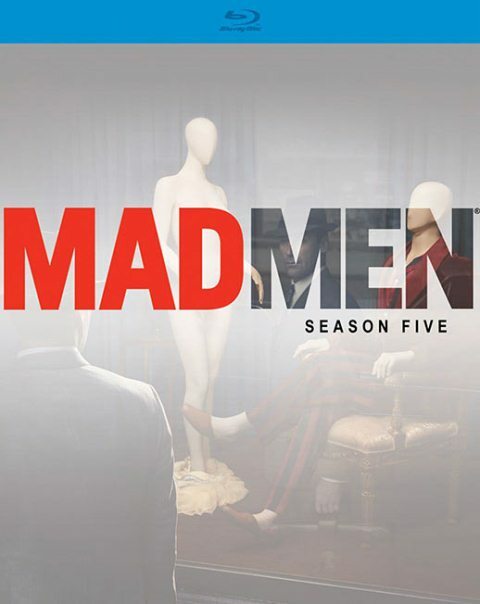 Season Five of Mad Men, four-time Emmy winner for Outstanding Drama Series and winner of three consecutive Golden Globes, plunges into the seductive and intriguing world of Sterling Cooper Draper Pryce. Jon Hamm and the rest of the award-winning cast continue to mesmerize as they adapt to changing times, social revolution, and a radical world. Lust is back. Adultery is back. Deception is back. o What Shall I Love If Not The Enigma? “Mad Men: Season Five” stars Jon Hamm, Elisabeth Moss, Christina Hendricks, Jessica Pare, John Slattery, Vincent Kartheiser, and Jared Harris. It was released on Blu-ray and DVD on October 16, 2012.